Editor’s Note: This week marks six months since the abduction of more than 200 hundred Nigerian girls by Boko Haram. This Thursday, October 16 from 12-1pm EDT Fem2pt0 hosts the #EducateOurGirls tweetchat with special guest Dr. Margee Ensign, President of the American University of Nigeria and board member of the American University of Nigeria Foundation. Chibok, Nigeria. On August 30th, I got into a minibus with my security director and drove towards Chibok, the village in the northeast corner of Nigeria where Boko Haram kidnapped more than two hundred girls while they were sitting for a physics exam last April. We were going there to pick up 11 of the nearly sixty girls who had escaped shortly after their abduction, and bring them to the American University of Nigeria (AUN) in Yola, Adamawa, one of three Nigerian states currently in a state of emergency. Not surprisingly, the morning my security director and I went to pick up the girls, none of our local armed security guards wanted to accompany us. As we drove north three-quarters of the way to Chibok, we were not sure exactly where we would find the girls and their parents, who wanted to accompany them on their first trip to AUN. We knew the village, but not their exact location. As we reached the village and approached an intersection in our minibuses, with all but the smallest AUN logo removed, we looked over and saw a group of people waving at us—we had found them and could breathe a sigh of relief. Most of the girls had small bags with them; some had nothing. Eleven girls and 11 parents moved quickly into our vehicles. A new life – for all of us – had begun. The drive back to AUN was quiet. The girls and their parents said little. Now safely on our campus, they have begun to talk. The memories of that night and their thoughts of their classmates still in captivity are always with them. The #BringBackOurGirls campaign was instrumental in shining a global spotlight on Nigeria, the evils of Boko Haram, and the need for education. But most of the girls are still in captivity, Boko Haram is still terrorizing northern Nigeria, many parents are afraid to send their children – boys and girls – to school, and many children are afraid to go to school. So, how can we affect real change? How do we make sure that we take care of the girls who have escaped Boko Haram, those that are released from captivity in the future and the thousands of disenfranchised youth that see Boko Haram as their most promising future? Tweeting is easy. Making a real lasting difference is not. At some point, the tweeting trend may cease in our social media circles, but the lives, struggles, and, we hope, triumphs of these children will continue beyond our hashtags. Yes, it’s important to continue to express outrage over Boko Haram’s heinous crimes, but fighting Boko Haram requires stepping beyond Twitterverse and putting money where our hashtags are. The future of Nigeria’s young people will determine the future of Nigeria. Without creating opportunities for their education and employment, Africa’s most populous nation cannot and will not find prosperity and progress. There are 10.5 million children out of school, equivalent to the combined populations of New York City and Houston. 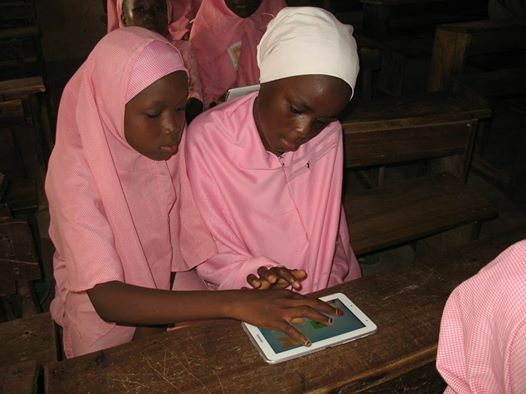 The national literacy rate is 51%, and in our region in northeast Nigeria, that figure is closer 20%. Education is scary for the thousands of Nigerians who are afraid to send their children to school in a region terrorized by Boko Haram. But all of the escaped girls at AUN remind us that a society without education is even scarier. We launched #EducateOurGirls at www.aunf.org to help find funds so that all of the escaped girls can get a chance to be students again. A few days after we arrived back at AUN with the eleven girls, four more girls showed up at our gates. Last week, we agreed to give scholarships another eight – all these girls refuse to give up on their dreams of education. These girls are helping to lead the way to a better tomorrow for the region and the country. They are among the bravest, strongest, most determined young women I have ever met in my 25 years in education. Helping these young women was unquestionably the right thing to do. We are doing what we can in our corner of the world, and with your help, we could do so much more. So, yes, continue to focus attention on #BringBackOurGirls, but, most importantly, take that extra step that will help bring a lasting solution to the problems in Nigeria. Your contributions, however large or small to www.aunf.org and the other nonprofit groups working for social and economic change are critical to helping us affect lasting change in defeating terrorism and bringing economic stability to the country. Terrorism thrives where hope and opportunity languish, and the escaped girls who are now studying at AUN are a strong reminder of the transformative power of education. Margee Ensign is President of the American University of Nigeria in Yola, Nigeria. The American University of Nigeria Foundation (www.aunf.org) is raising funds for scholarships for the other 47 girls that escaped Boko Haram.